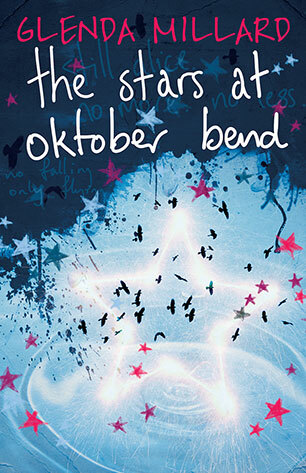 This past week I attended a lovely book launch for The Stars at Oktober Bend, a beautifully and unusually written young adult novel about a young girl who has a brain injury that has affected her speech. She can’t express herself verbally, so she writes everything down in her journal in her unique and poetic way (no capital letters and sparse punctuation – I love it!). It’s a brilliant concept and one that makes you think about the importance of words and communication. I think Glenda does an amazing job of illustrating how a person with ABI can sometimes think in very different ways. It’s a little bit like authors with their different styles and methods. I wish I was the sort who gets an idea, then sits down and pumps out a story, then leisurely and painstakingly edits it. Instead, I am one of those writers who have taken a long time to gain confidence in their writing. And I take a long time to produce that writing. Facing Up was begun circa 2002, I think, but didn’t come to fruition until 2014. My second book is finally to the point where I’m sending it out to beta readers to critique. This novel was actually begun long before the idea for Facing Up popped into my head one day on the way to work. Inside Out was started during a novel-writing subject in the second year of my Professional Writing and Editing Diploma, so that would have been around 1997. At this rate, if I don’t stick to a timeline, it could be 20 years from first sentence to publication! Only one person (apart from me) has read part of it so far, and it was only the prologue (at least it did get a good reaction!). It’s always nerve-racking showing your writing to people for the first time. Apparently this doesn’t stop even once you’ve been published and are a best-selling author, according to a number of them. But happily the jigsaw pieces are all falling into place now, and it’s getting easier and faster to put it together. I have the unfortunate method of assembling my stories from ideas, images, sentences or characters, that then have to be formed into something coherent, relevant and entertaining. Australian author Lucy Treloar recently described her own writing on the lovely WordMothers website as like ‘creating the pieces of a quilt that I have to connect later’, which struck a chord with me. 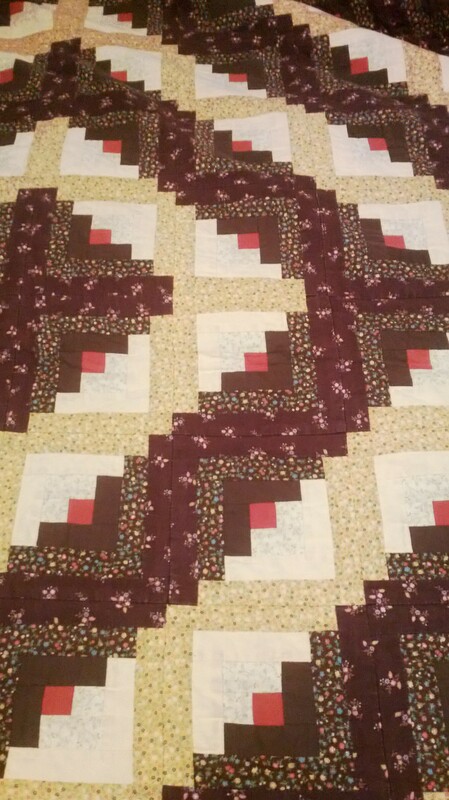 My mother made quilts for years, painstakingly collecting scraps of material and matching them, then hand-sewing each piece. This quilts are nearly impossible to value, due to the time and effort that goes into them, let alone the sentimental value! I’m no great sewer, so it’s nice to know that I do something similar with my writing. The shy, clumsy daughter of sporting legends is bullied during sports classes until she makes a stand – and ends up in drama classes instead. My character Allie basically escapes the nightmare of bullying in PE (Physical Education) classes (which includes a photo of her going around the school that earns her the nickname ‘Stripper’) and ends up becoming part of the school drama group – for a shy, insecure girl whose character is mostly internalised, this is terrifying. Maybe I should call it Exposed? Which is rather like a lot of writers in the way they express themselves through writing and have to expose it (and themselves) to the world if they want to share it! Speaking of sharing, last week I sent out three copies of Facing Up to the winners of my Australian Goodreads Giveaways, so hopefully they’ll receive them this week – thank you everyone for entering! And this coming week I’m off to another book launch, for two more Aussie authors, which I’m hoping will inspire me again. I’d never been to a book launch before last year, and this will be my third. I’ve discovered it’s a lovely way to hear more about the author and their writing, let alone to meet the author (if only momentarily) and meet other readers and book people. This entry was posted in Writing, Young Adult book and tagged #LoveOzYA, ABI, brain injury in books, Facing Up, Glenda Millard, Lucy Treloar, Quilting as a writing method, second book, The Stars at Oktober Bend, WordMothers, Writing is a jigsaw puzzle, writing methods, YA novel. Bookmark the permalink. You’ve already proved that you are a good writer and your topic is valuable. The rest will all come naturally through your talent. Only you can tell this story in your unique way. Thank you Nicole – I hope your book is piecing its way together too 🙂 I knew nothing about the Oktober book, or Glenda (sorry to say!) before I saw an A&U event notification for it. And thank you for saying my next book has a great hook – it’s the first time I’ve put it in writing in public, so it’s a good start 🙂 I’ll let you know how Kirsty & Justine behave this Wed 😉 I’m very much looking forward to hearing them speak! I’m not sure I could stomach a book with significant lack of punctuation and capitalization – but it sounds like an interesting read! As for my own writing, I find it nerve wracking to show it to those I know – yet I have almost no trouble showing it to people I don’t. Perhaps there is some element of not wanting to let down people I know. I think this is why I never worry about things I post on the blog, as I don’t expect my family or friends to read them (at least, they aren’t the primary audience). Plus, you know, how much criticism are you going to get for pictures of a dog in clothing? That’s pretty much just begging to get compliments. I read the first 10 pages waiting in line to get it signed, so it was surprisingly easy to take in! I can’t imagine your family complaining about Choppy in her outfits, unless she’s wearing something of theirs, ha ha! It wouldn’t be the first time I dressed her up in something belonging to a family member if I did it. I think the key is to condition the family to think it is normal, so they just assume it is going to happen. Oh yes (though those only belonged to me…so far).